The Denver Zoo's sloth Charlotte gave birth to Baby Ruth in January of 2018. 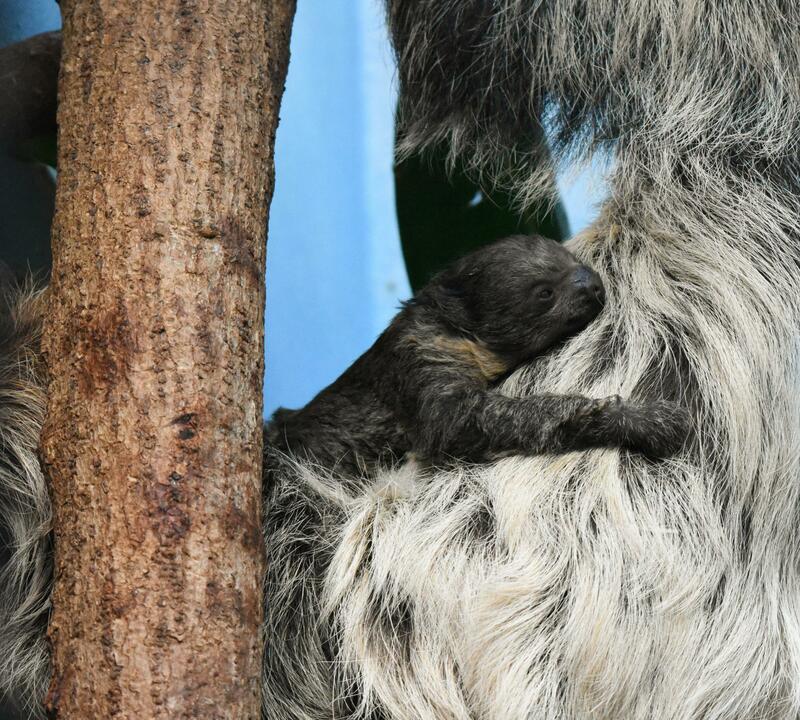 It’s not a polar bear, but the Denver Zoo is hoping visitors will be excited to see its new baby sloth. The zoo’s 23-year-old two-toed sloth, Charlotte, is expecting a baby in late February or early March 2019. The new addition will join dad, Elliot, and big sister, Baby Ruth, who was born last year in their habitat in Bird World. Charlotte, shown here with Baby Ruth, is due to give birth again in February or March. But visitors shouldn’t expect to see the new addition right away. Denver Zoo spokesman Jake Kubé said in a news release that for the first month or so, he or she will hide in Charlotte’s fur and cling to her while nursing. Sloths have a life expectancy of about 20 years in the wild, but can live to be 30 to 40 years old in zoos.